Who doesn’t love fat quarters? I go into a store and find that I cannot leave without buying a hand full. It’s so much fun to mix and match prints and colors together to create unique combinations. The bonus is that when I am in a hurry, I don’t have to spend time waiting at the cutting table. When I return to my sewing room, I find that the fabric quarters often sit there, waiting to be used. Here are five ideas for using that stash of fat quarters. 1. Find a Fat Quarter Friendly Quilt Pattern. 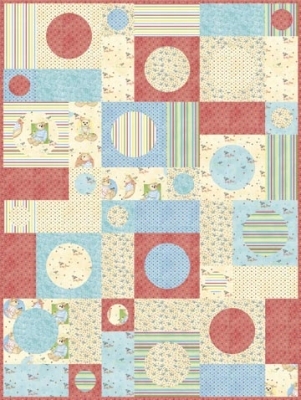 The market is full of quilt patterns that are perfect for using your fat quarter stash.The San Francisco Window Boxes Quilt Pattern is a very popular pattern and many beginners have used this pattern to make their first quilt. You can’t go wrong with the fabric selection – it looks great every time! 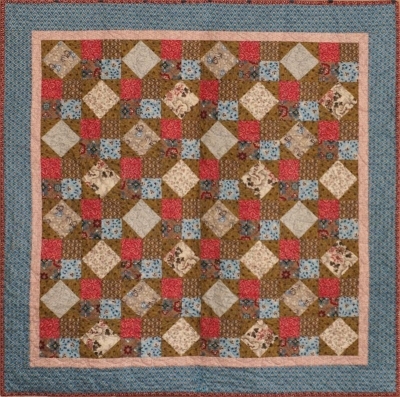 The pattern uses 12 fat quarters and was designed by Susan Pfau of Sweet Jane’s Quilting and Design. 2. Organize a Fat Quarter Challenge. 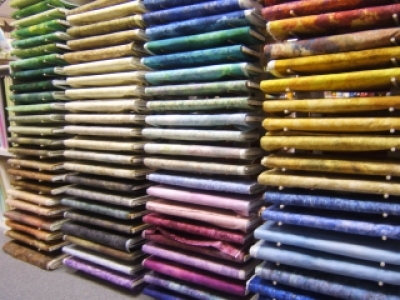 Are you part of a quilting bee or quilting guild? Take charge by organizing a fun challenge that requires the use of fat quarters. To add an extra twist, draw names and swap fabric quarters with another member. Then you will have the extra challenge of designing something with fabric that another member selected. 3. Stash your Gift Closet. Here is a make-ahead idea for your gift stash. 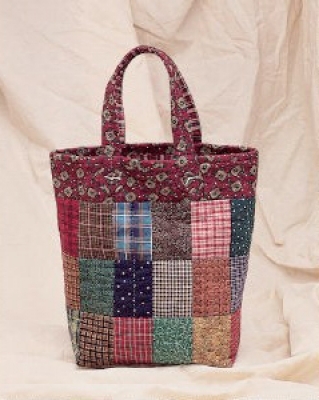 Find smaller accessory patterns such as the Country Tote Pattern. Make as many gifts for the new year and you think you might use. When a birthday or another special occasion arises, you will have a stash of handmade gifts to give that your recipient will love! Your gifts can be of all sizes. 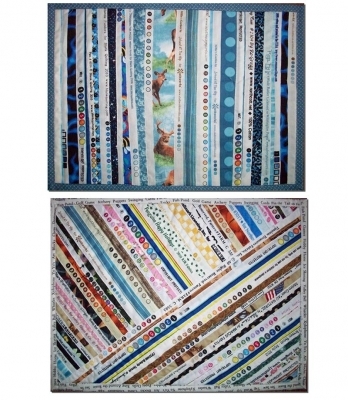 Totes, table runners, wall art or even small gifts such as patchwork bookmarks would be appreciated. Just think, no more unexpected last minutes trips to the store! 4. Use the selvage to create placemats! Yes! Even the selvages can be creatively used. The Easy Selvage Placemat Pattern uses selvages from your fat quarters and other fabric stash. This pattern has instructions for three different designs. Do all three or choose your favorite(s). 5. Create amazing wall art. Something about those fat quarters appealed to you in the fabric store, right? Use them to create some wall art to decorate your creative space or any room. The Hidden Star Quilt Pattern is an easy weekend project. It makes a great wall hanging, baby quilt or a throw. I hope we have inspired you to get out your fat quarters and make something! 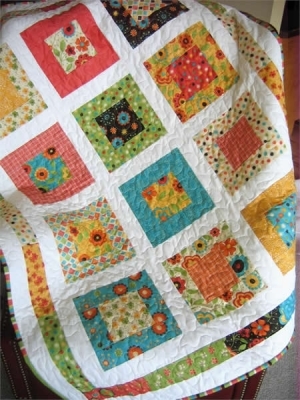 Do you have creative ways of using your fat quarters? I would love to hear about them. This entry was posted in Fabric, Gift idea, patterns, QuiltWoman and tagged country tote pattern, easy selvage placemats, fat quarters, hidden star quilt pattern, norcott stonehenge, QuiltWoman.com, san fransisco window boxes, Susan Pfau, Sweet Janes Quilting and Design. Bookmark the permalink.